Another polish from last years I'mperfection collection from Illamasqua. This along with Mottle, the green version, are my two favourites. Unlike some glitters, these apply really nicely and you don't have to place the glitter. Instead you get a pretty even coat of the different sized glitter. Although I always apply a top coat, these glitters have a flat smooth finish which I really like. This nail polish is perfect! 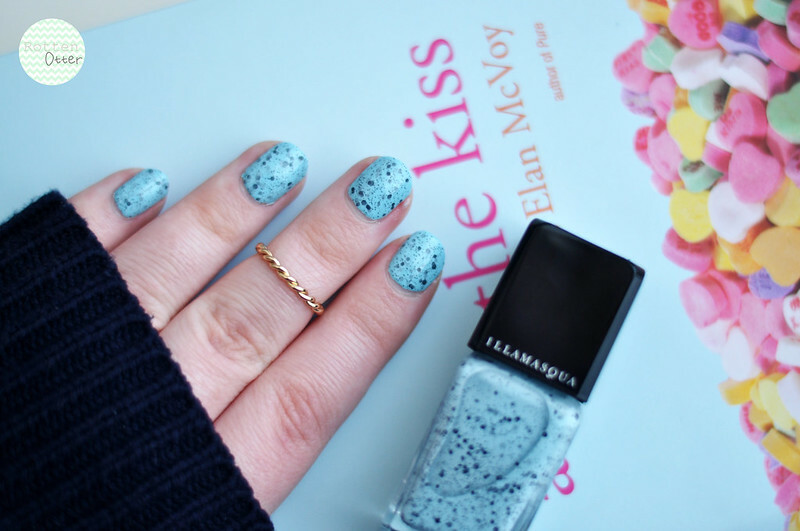 I am loving the speckled look the nail polishes give. And I just saw that Model's Own is currently doing the exact same look for roughly £5, yet Illamasqua is Illamasqua!